Would you like to discover the secrets best-selling authors use to craft page-turning fiction? riting fiction is a craft – a set of practical skills that anyone can learn provided they have the right information and guidance. And that’s where our new, comprehensive, step-by-step ‘how to write fiction’ online course can help you. The world is full of aspiring writers, bubbling over with enthusiasm, fresh ideas, original characters and thrilling plots, and hoping one day to bring them all to life in a novel or short story. But all too often these stories never get written or published because many would-be writers simply don’t know how to get started or, don’t know how to turn their words and ideas into something that’s original and good enough to get published. This course not only gives you the know-how, but also the confidence to develop your ideas. Professional training to satisfy your potential. Are you eager to put pen to paper? Do you dream of one day holding your first finished manuscript in your hands? Are you desperate to learn how to negotiate with the world of agents and publishers? Then this how to write fiction course is for you! Developed by our team of award winning experts and bestselling authors, you can follow along on this journey, penning your story along the way. You’ll discover the time-tested secrets bestselling authors use to craft powerful, captivating published fiction. As any successful author knows, writing fiction is all about invoking powerful emotional experiences within your reader and connecting with them on a psychological level. To do this, you need to master several key facts of fiction such as: character, plot, setting, dialogue, narrative voice, and genre. We cover them all and much more in the Write Fiction Books course. You will learn how to write gripping scenes, add suspense to your writing, craft attention-grabbing titles for your work and uncover marketing techniques that sell books. We’ll walk you through theme, symbolism, realistic dialogue, point-of-view, and re-drafting, as well as giving you heaps of actionable ideas and indispensable tips for creating exciting fiction that keeps readers gripped. We’ve handpicked perfect fitting examples of best-selling authors’ work to show you how the professionals create cliffhangers, structure their writing, add specific techniques to create atmosphere and suspense, form shock endings and use euphonic words to create the reaction you desire from your readers. The Write Fiction Books course teaches you the very basics as well as the intermediate and advanced skills of writing exciting fiction in a simple, easy-to-understand manner that will not overwhelm your learning experience. 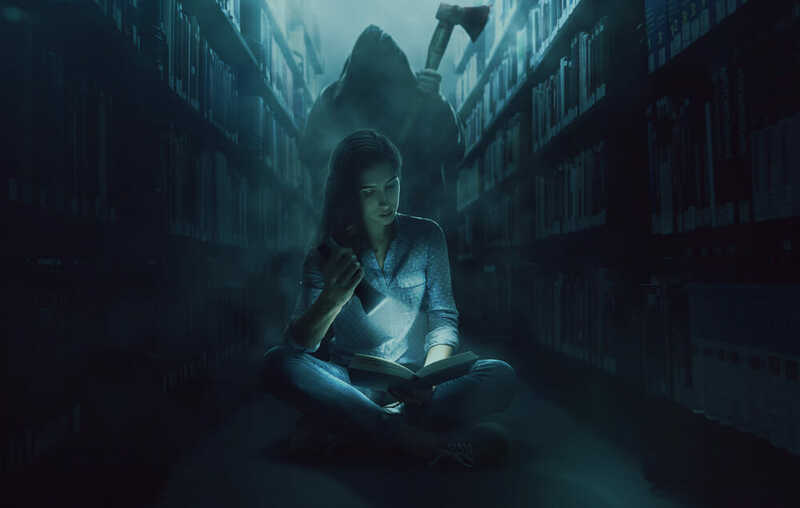 Whether you aspire to write the next bestselling thriller, or want the skills and confidence to enter short story competitions, you can do it all with the help of the Write Fiction Books online course. A practical course that builds your story with you – line-by-line. Writing a novel or even a short story can be a daunting process. That’s why the Write Fiction Books course has been designed to inspire and stimulate you to start writing from the very beginning. As you work through each interactive module, you’ll be encouraged to follow along through our carefully structured ‘Action Points’. These practical exercises will guide you through your own writing project and story, from start to finish. By the time you’ve completed this course, you’ll not only possess the know-how – but you’ll also have the framework of your own original and compelling story already mapped out – saving you time, effort and a lot of frustration. Inspiration, ideas and practical advice at a pace and place that suits YOU. The Write Fiction Books course offers an immersive and engaging learning experience, delivered to you through a powerful advanced online learning engine. Log in to start learning whenever and wherever you like. From your computer, phone or tablet device, this course is completely cross-platform compatible. There are no time limits, access is for life! You can view each module as many times as you like until you’ve mastered each technique. It’s the equivalent of working alongside an experienced writer and being able to tap into their knowledge, 24/7. Be amazed as you watch yourself progress, have fun and produce the kind of compelling, page-turning fiction that you know you’re capable of. Learn the craft of fiction writing with this step-by-step training. Gain a genuine fiction writing certificate. Looks great on the wall. Impresses at interviews! Extra bonus training, resources, templates, checklists and more. – builds your story as you work through the course. – clear explanations of the industry jargon from beginning to end. You’ll talk and act like a professional in no time. Little-known industry secrets from published authors. Knowing what NOT to do is as important as what to do. We’ll guide you around the pitfalls that await you. Successful authors reveal their secrets. Packed with handpicked extracts to precisely illustrate each point in the course. Study in your own time and at your own pace 24/7. 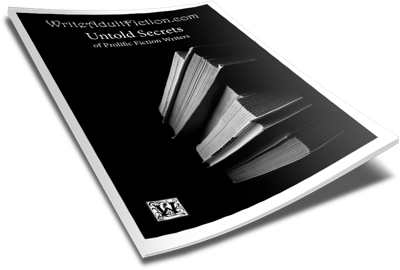 FREE BONUS #1: Untold Secrets of Prolific Fiction Writers. In this exclusive report you will meet ten of the world’s most successful authors and discover the strategies and productivity routines they use to achieve levels of success most writers can only dream about. FREE BONUS #2: Free Lifetime Content Updates. Whenever the ‘Write Fiction Books’ course is updated, or new modules are added, you’ll receive an automatic upgrade, absolutely free. For life. 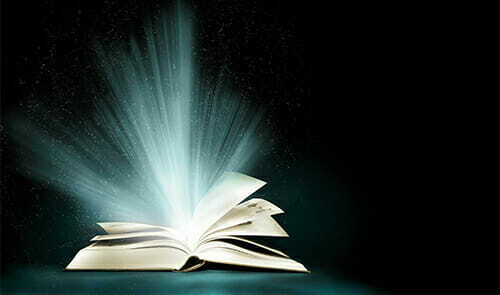 Write Fiction Books does more than just teach you a few tricks to improve your writing. It’s a complete A-Z ‘how to write fiction’ course that can truly change your life by taking your love and enjoyment of writing on to a whole new level. Join thousands of aspiring fiction writers worldwide and give yourself the best opportunity to have your writing voice heard; you’ll discover the art of crafting page-turning fiction. For a full breakdown of everything covered in this comprehensive course, please view the course modules page. Each module has been carefully constructed by an expert team of authors, editors and award-winning professionals to help you transform your ideas and blank pages into compelling fiction. You are protected by a full 60-day money-back guarantee. So you risk nothing today by registering onto the Write Fiction Books course. Over the next 60 days, you’re either thrilled with everything you learn, how easy the course is to use and follow, and how much more confident and proficient you become at writing fiction, or you get 100% of your money back. And, if that’s what you decide, you can keep Bonus 1: Untold Secrets of Prolific Fiction Writers with our compliments.